Axis Of Oversteer: The Australian GP was everything some hoped for and everything some feared. 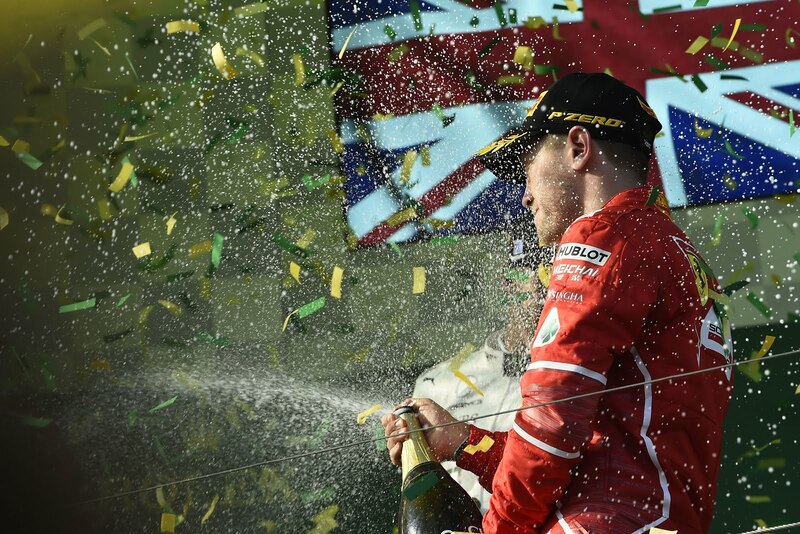 The Australian GP was everything some hoped for and everything some feared. If the new owners of Formula One could have scripted their first race it probably would have ended with redemption for the once great team, recently crushed by the might of the Mercedes behemoth. The first Australian GP win in 10 years for Ferrari, the return of "the Finger" for Vettel, everyone's happy, even the vanquished Hamilton seemed chill on the podium. And that's not all, the new cars are beasts to drive, they move around much more that you would think given bigger tires and added downforce, they even sound pretty decent. The new Pirellis are good for more than three laps, people had been wondering what that would look like in F1, they got their answer: Drivers can push, Vettel was a hammer as he steadily pulled away from Hamilton. People did not get to see a real battle for the lead....again. Before people start to pull their hair out and tell everyone who would listen how WEC and MotoGP are way better than this horrible corrupt F1, yadda yadda. let's add some perspective, Melbourne has never been a track where there is a lot of passing. But Vettel never tried to attack Hamilton you say? Well, to be clear, Vettel is there to win and he's a professional, the right call in the first part of the race was to sit just outside Hamilton's wake and wait to see who would blink first. Hopefully Hamilton will have a better sense for designing sneakers or writing songs than he seems to have for calling tire strategies. On Sunday ha once again bullied his team into stopping earlier than the pit wall wanted and this gave Ferrari the opening it needed. No wonder Toto Wolff was punching tables, Lewis gave up track position on a track where passing is hard, passing Max Verstappen, impossible. The next few races will show if it's like everyone, logically thinks, wider cars with bigger tires and more downforce just make it harder to see any wheel to wheel action past lap one. There is a saving grace, these care are absolutely harder to drive and that will produce fatigue and errors. In other words, the human element is more important than ever. To that end, one would hope moving forwards F1 will work to keep that human element alive. Hamilton lost the race because he made a wrong call? Great, make it so making call on tires, is up to the drivers, not 100 computer banks a half a world away. Eliminate some of the sensors that feed every little detail back to the pits, enhance the role of the sensor implanted in the driver's seat! Naturally, manufacturers would like to eliminate every surprise. F1 should make it harder for them.